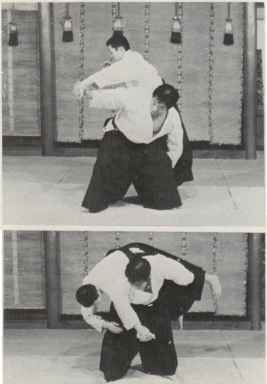 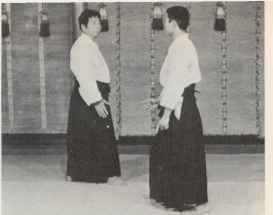 When you cannot pass under the hand of your partner, be sure to "align the hack of your hand against his" (KUDEN), move to his rear, with your left hand & foot moving together, fold him into your hold-down technique. 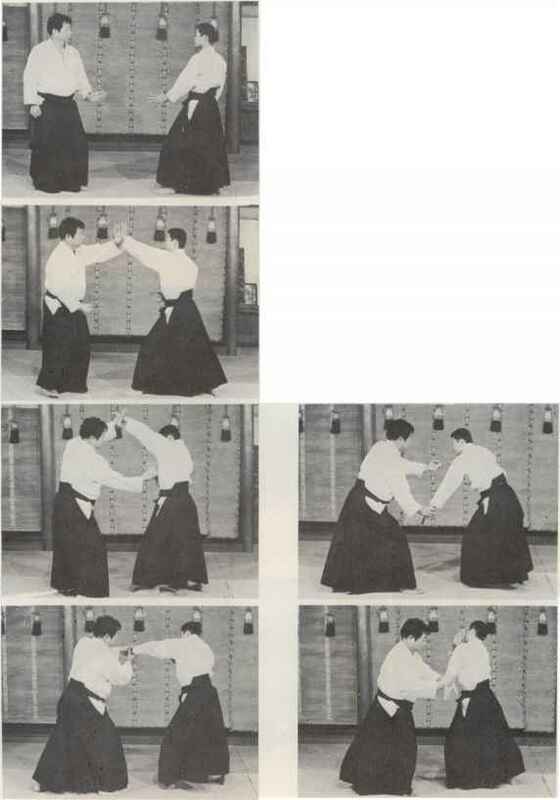 This exercise features the initiation of an attack on your part. 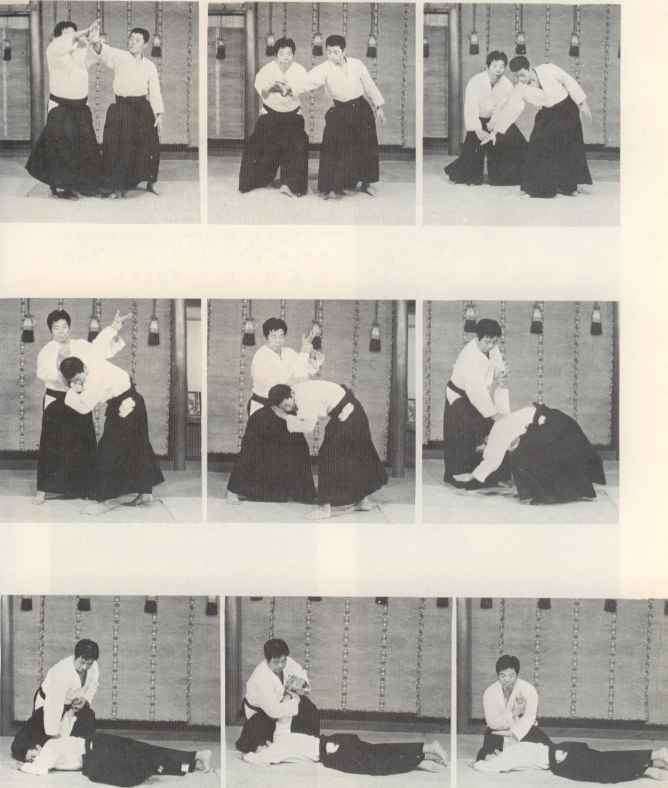 Deliver Atemi to your partner's face and side, take your partner's parrying hand and begin Koshi-nage. 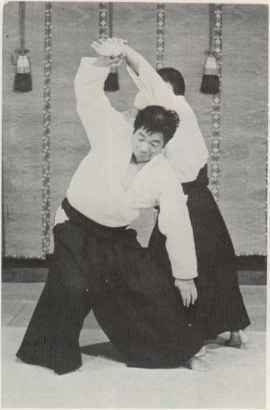 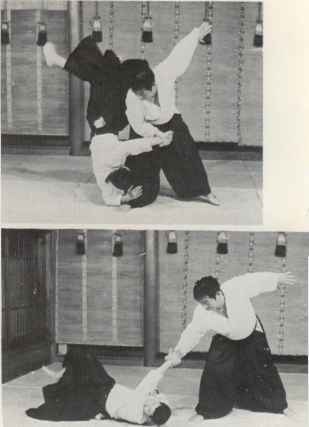 In AIK1DO, Koshi-nage describes a dynamic movement of passing under one assailant and taking on another in a multiple attack.